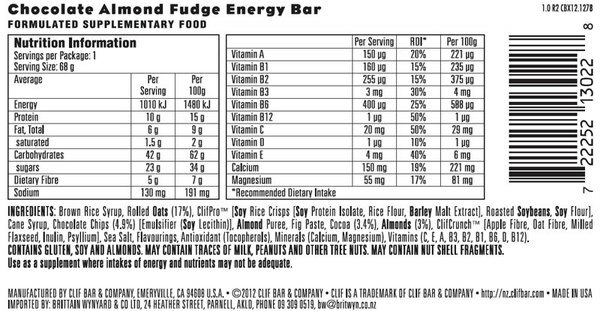 Clif Bars are one of FuelMe's most popular energy bars. 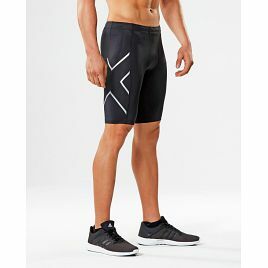 They are super easy to eat when on the run or on the bike, or even sitting in your office chair. 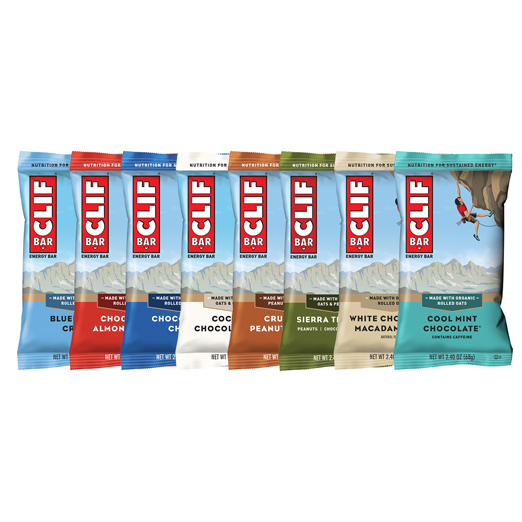 And Clif Bars come in so many great tasting flavours it's hard to choose a favourite. With a mix of carbohydrates, protein and fibre, CLIF Bars supply you with the extra energy and nutrients you need for extended periods of activity. 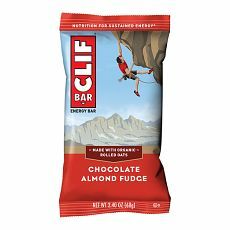 Clif Bars are one of FuelMe’s most popular energy bars. 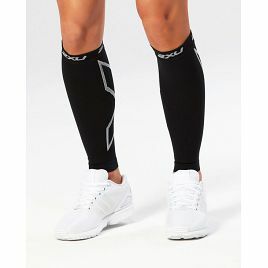 They are super easy to eat when on the run or on the bike, or even sitting in your office chair. 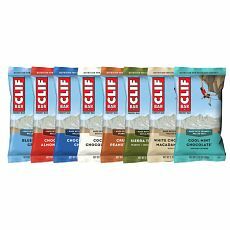 And Clif Bars come in so many great tasting flavours it’s hard to choose a favourite. With a mix of carbohydrates, protein and fibre, CLIF Bars supply you with the extra energy and nutrients you need for extended periods of activity. 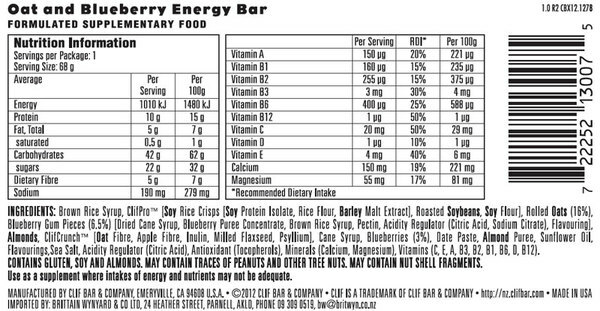 Clif bar energy bars provide wholesome and nutrient-dense calorie hit for long duration endurance activities and make a great post exercise energy replacement. They are formulated to steadily increase blood sugar levels without creating a ‘sugar crash’ so you won’t get that sugar high or low common to many high sugar bars. Clif Bars use 70% Organic Ingredients with Organic Rolled Oats, and contain NO High Fructose Corn Syrup. 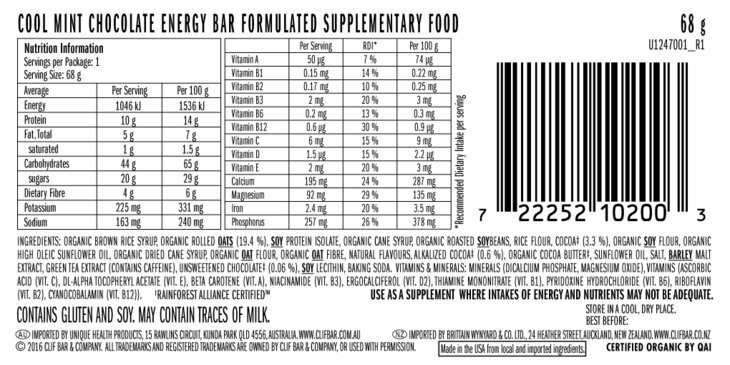 Clif Bars were the Official Energy Bar for NZ Ironman 2018 and Ironman 70.3, On Course flavours are White Chocolate Macadamia, and Chocolate Chip. Cool Mint Chocolate Contains Caffeine from Green Tea Extract. 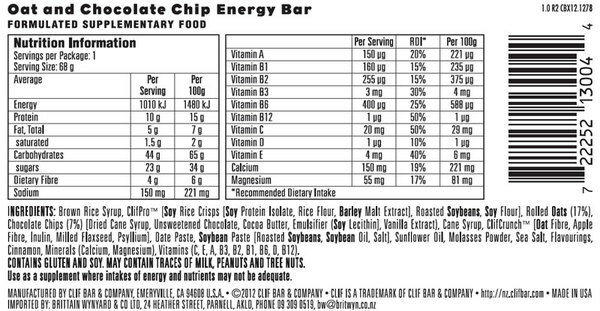 CLIF Bars contain Gluten and Soy. 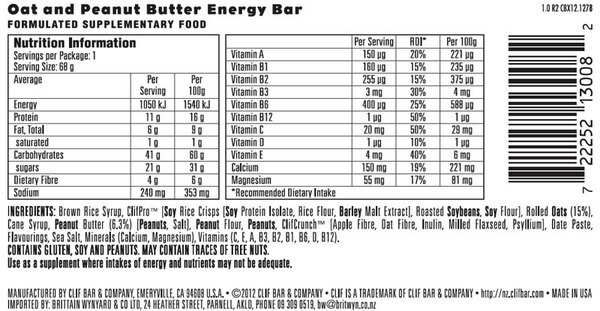 Peanut Butter contains peanuts. Oatmeal Raisin Walnut contains walnuts. Blueberry Crisp and Chocolate Almond Fudge contains almonds. 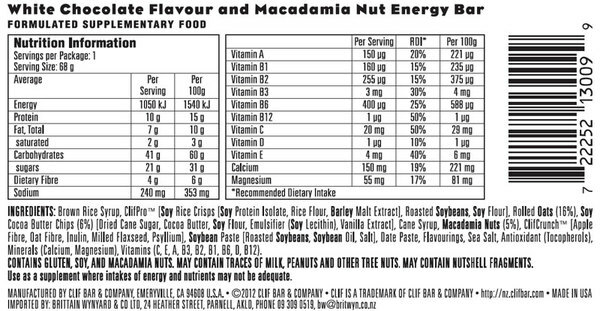 White Chocolate Macadamia contains macadamia nuts. All CLIF Bars may contain traces of milk, peanuts and tree nuts. May contain nutshell fragments. CLIF Bar uses whole ingredients you can see and taste such as organic rolled oats and organic dates.